Munich-based startup and TechCrunch Disrupt NY Battlefield contestant KISI Systems is launching its Indiegogo campaign today. KISI and KISIBox together comprise a keyless entry solution that lets users provide timed, revokable access to their own apartments on an as-needed basis. It’s the perfect complement to collaborative consumption services like Airbnb and TaskRabbit and in general a very useful addition to any household. KISI takes its cues from enterprise-grade tools that allow businesses to control who can and can’t gain access to a facility – co-founder Bernhard Mehl explained that he and his co-founders decided it was an idea that would make perfect sense when applied to a consumer setting, too. 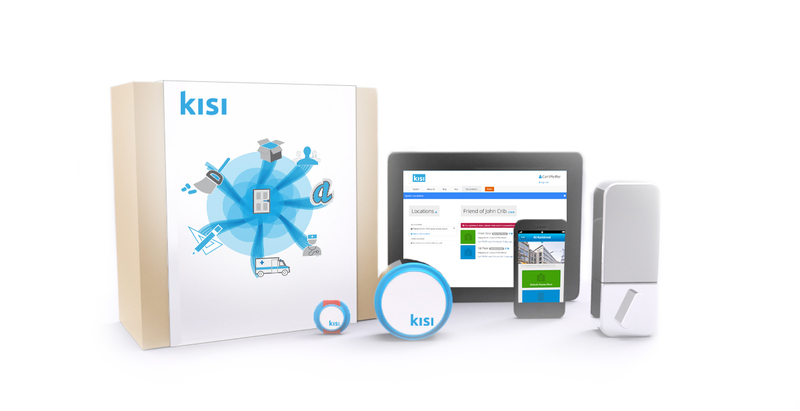 The KISI system is a combination of hardware and software, with a set price of $479 up front when it hits retail. Initially, backers can get it for $249 for the first Indiegogo supporters, and the best part is that the service is included with the hardware purchase, so this isn’t something that you end up necessarily paying for on a continual basis. There is a SaaS model planned as well, for people who’d like access to premium features, but Mehl says that in general, they aren’t interested in making homeowners feel like they’re renting the locks on their doors. KISI is designed for apartment tenants primarily, and can be made to integrated with your intercom system to provide complete building access from a web-based dashboard. Mehl says that where in the past this has been accomplished through sharing of hardware keys, that’s a dramatically outdated prospect, since it involves granting a type of access you can’t easily revoke, at least not without changing your locks. The platform is why KISI isn’t just another Lockitron, providing things like integration with an intercom system, and a record of when keyholders have accessed your apartment, and for how long. The big opportunity for KISI is to take advantage of the rise of services like Airbnb, Exec and TaskRabbit, and collaborate with those companies to help provide temporary access to service pros who might only need it for a few minutes, a week or an afternoon. KISI has already impressed enough to win an entrepreneurial startup grant from the German government, and they’ve won various prizes, including from the NYCEDC, which provided them with $25,000 for the “Next Idea” award. KISI will launch in New York City and Munich first, and will then expand to other markets after that. It doesn’t replace existing standards like Z-Wave, but works with them, and can also be used in combination with existing devices like Lockitron, so there’s opportunity for it to grow into existing home automation systems.